Nominations for scientists to be recognized for their excellence in the field of controlled release and delivery are now available. 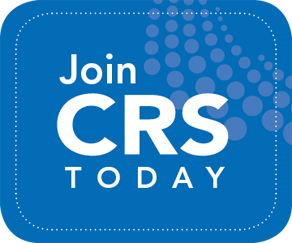 CRS members are encouraged to submit Award nominations that honor those who have contributed to the society and the science of controlled release for the following prestigious CRS Awards: Fellows, Founders, CRS T. Nagai Postdoctoral Research Achievement, Young Investigator, and the Transdermal Delivery Kydonieus Foundation Award are now being sought. Awards are presented during the awards ceremony held during the opening ceremony at the 2019 CRS Annual Meeting in Valencia Spain. Elevation to "fellow" recognizes an exceptional individual in the field of controlled release who has made outstanding and sustained contributions to the field of delivery science and technology. Individuals accepting nomination to the CRS College of Fellows agree not only to accept the honor of recognition of excellence but also to make active contributions through their involvement in CRS sponsored activities. Click on the link for additional information regarding the College of Fellows. Established in 1994, the Distinguished Service Award is presented to a CRS member who has exhibited exceptional commitment and service to the Society and is selected by the Board of Directors. The award is not automatically given each year, only in the years when there is an exceptional member who fits the criteria.